Earlier this year TT Games finally launched their Nintendo exclusive franchise, LEGO City Undercover, across all platforms. With high praise from critics and fans alike, an original story with an original cast, and a new multiplayer mode, the game takes you on an action-packed adventure as top-cop Chase McCain. Now, Officer McCain has a new challenge to face as one of LEGO’s most popular and enduring themes finally joins the multiverse. 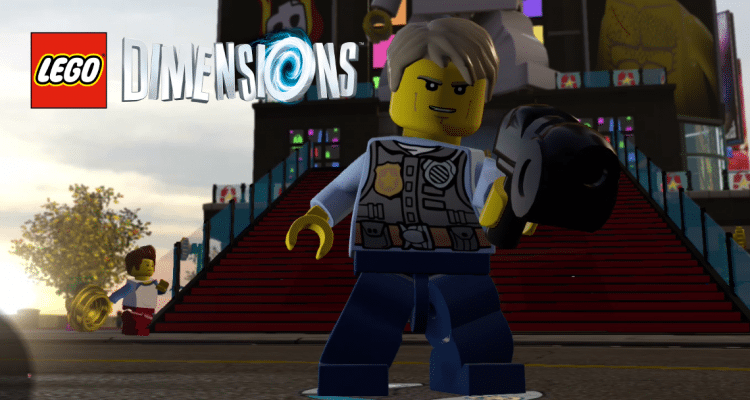 Cross-promotion is essentially what LEGO Dimensions is all about, with a number of the toy company’s original creations already prominent parts of the huge roster. 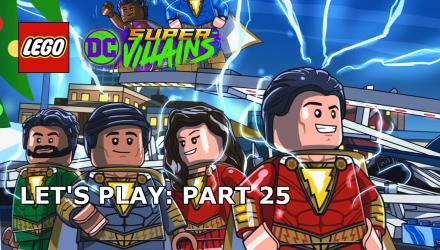 The LEGO Movie, Ninjago, and Chima all feature in the game’s story mode, with The LEGO Batman Movie joining in year 2 as a highly popular story pack. Now, LEGO City is joining the party, and while the theme has hundreds of sets and decades of designs to draw influence from, the focus turns to the newest addition, Chase McCain. It’s a little disappointing that Chase is only given a fun pack as there could have been a great opportunity to do a mini-sequel to Undercover, but as we do get a new open world themed around the game it’s not entirely without its benefits for fans. 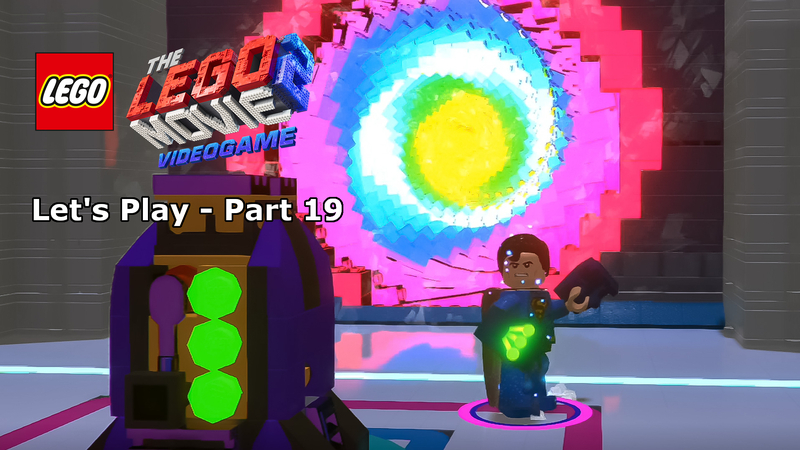 With one of the most interesting elements of Undercover is the similarities to the Grand Theft Auto franchise, only with a family-friendly LEGO twist, who wouldn’t want more? 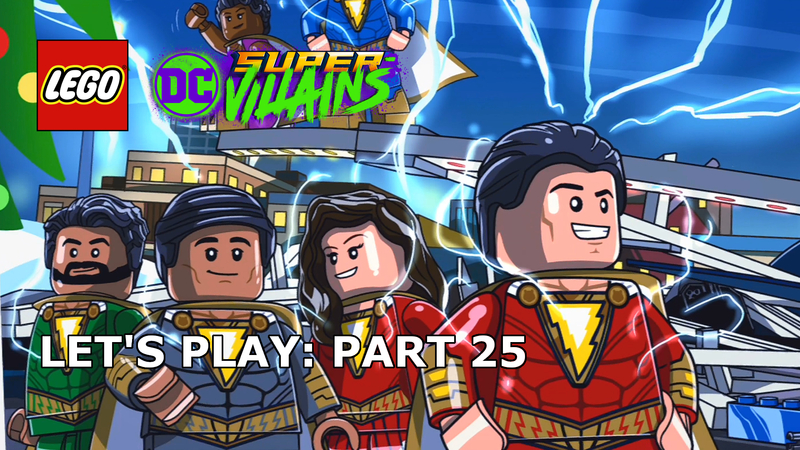 The first big draw of this set is obviously going to be McCain’s physical minifigure and despite the generic nature of LEGO City’s cast of characters, Chase is anything but. He has, of course, appeared in a couple of LEGO City sets now, but this new figure appears to feature a much more game-authentic design. 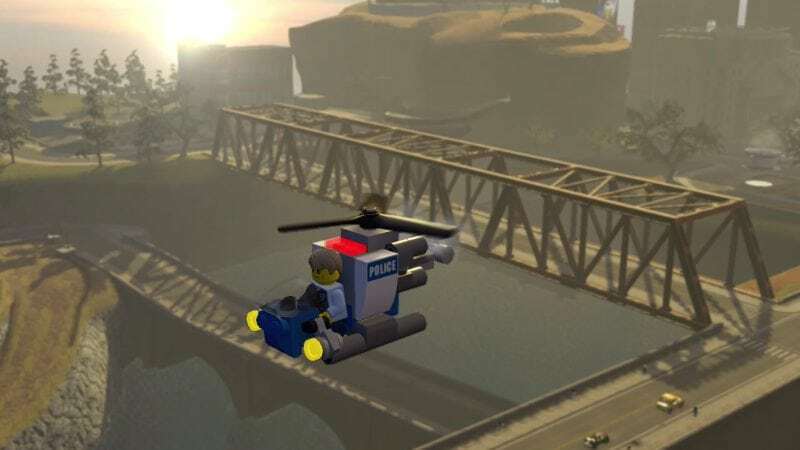 Matching the design from LEGO City Undercover, the minifig’s custom police outfit is stunningly recreated in all its glory. Quickly brushing over the standard dark blue legs, the torso piece is what makes McCain. With full printing both front and back over a light blue shirt, the detail shows a large grey military-style vest. In addition to a number of pouches and straps, the detail includes a walkie-talkie, large police badge, and fully equipped belt. Moving on to the back of the piece and the word “POLICE” features prominently, along with the walkie cable, back of the belt and more pouches. Chase is easily one of the most detailed police officers to ever grace the LEGO brand, it’s clear that the designers have gone to every effort to include as much of the game on the figure and it works so very well. Moving up to the head and hair, there isn’t too much to get excited about, they match the character’s look, but sadly there’s nothing unique to find. Accessory-wise, the LEGO City hero is equipped with his grapple-gun, constructed using a megaphone piece and a three-pronged hook, similar in design to Batman’s. 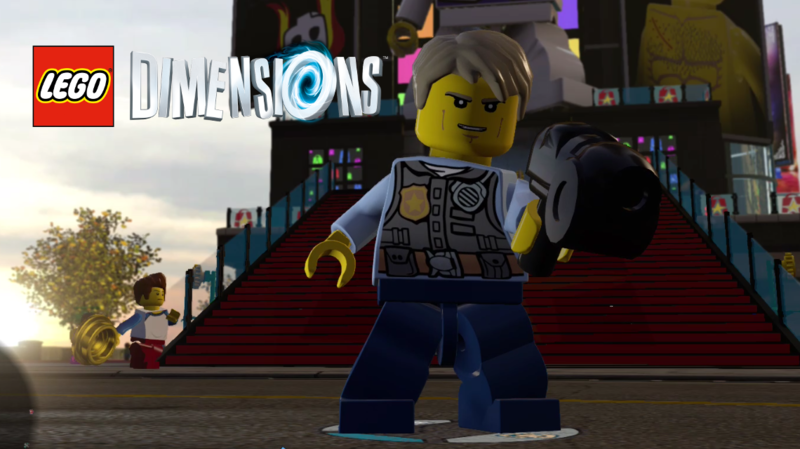 In-game, Officer McCain is an extremely versatile character as LEGO Dimensions takes inspiration from his undercover work to provide him with more than just the one look, he adapts to his surroundings by quickly changing outfits into one of a number of stereotypical LEGO City guises. Need something silver blowing up? Chase has you covered as a miner. Need a fire putting out? Chase the firefighter is here to help. Need a techie? Astronaut McCain is at your disposal. You get the idea. Chase can also turn into a farmer and construction worker, each of these uniform changes offering their own abilities. To put it another way, Chase is the Mcguyver of LEGO Dimensions, the Swiss-Army knife of abilities mean that if you’ve got a difficult yellow brick to get, there’s a good chance that you won’t need many other characters on your toy pad. Moving on to Chase’s vehicle of choice and it’s a police helicopter. Any self-respecting LEGO fan has built a LEGO City helicopter at some point in their life, that’s a given, but you’ve probably never built one like this. Yes, we’ve had helicopters already in LEGO Dimensions, but this is one of my favourites by far, the micro-build just looks sp great. 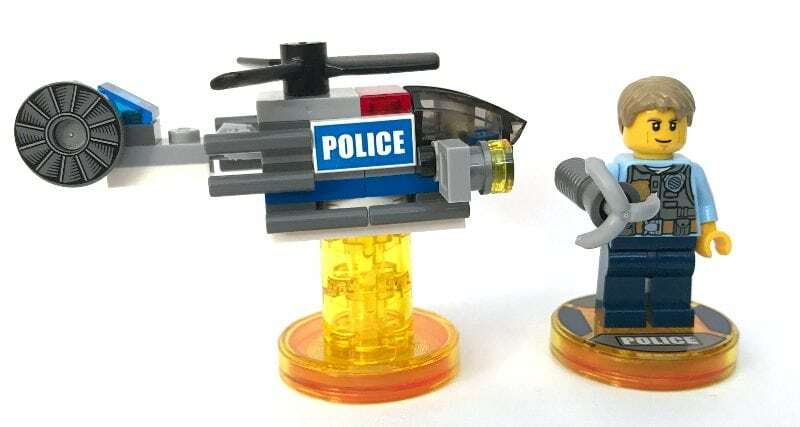 Firstly, LEGO, why can’t we get the brilliant pre-printed ‘POLICE’ panels with every set? I hate stickers, over time they ruin a set’s look, and the printed inclusions on Chase’s helicopter do so much, proving that something so simple does make a difference. Rather than big bulky pieces making up the hull of this chopper, the build puts layer upon layer of thin pieces, building upwards while adding additional detail with the help of 2-stud plates with grey handles which stick out of each side of the craft. There is a clip either side of the front which allows for spotlights to be connected, they’re simple in design, but make a massive difference in how the chooper stands out next to similar builds. One 2×2 piece makes up the cockpit, the dark tinted translucent piece covers the majority of the front with a red bar just above for the police light and siren. There’s also a working rotor on the top which spins with ease, the designers opted to simulate the back tail rotor using a printed circular piece. The back of the main body allows the tail to connect via technics connector which can rotate, allowing it to be set at a slight angle if wanted. The mixture of standard LEGO City police white and blue colouring works really well on this micro-build and the addition of more grey pieces adds nicely to the idea that this is Chase’s own helicopter. Much like the custom look of the character himself, this chooper stands out among the rest of the well-known brand. In-game, the chopper isn’t likely to offer anything new that you don’t already have from other similar models. The core abilities are fairly standard, flight, docks, cargo hook, but it will get Chase to where he needs to be, if nothing else. There are, of course, the two additional models to unlock in the game, the hovercraft and the plane, both of which have the obvious skills, though the water-based vehicle has a laser and the plane can be used for drone mazes so there are a couple of features worthwhile. Moving on to the LEGO City open world itself and I have to say, I’m disappointed. With literally hundreds upon hundreds of ideas available, the world is fairly bland, unadventurous and a little generic. A couple of characters from LEGO City Undercover do pop up to give Chase a hard time, but that is about all you’re getting from that other game. One of the more fun aspects of Undercover is the GTA-inspired mechanics, they’re insanely entertaining in LEGO format, but unfortunately, due to the established approach of Dimensions, they’re not included here and all we get is the very standard, tried and test LEGO Dimensions gameplay. There are some redeeming features to the open-world, as always the comedy element and dig at other franchises constantly shines through. The voice-over work is also a massive highlight, from Chase super-cop himself to the very Bond’esque tophat-wearing villain lying in wait in his cave lair. Overall, though, the LEGO City fun pack is lacking somewhat. Not because of the minifigure and micro-build, or because of what the new character will add to your collection in-game, or because of the franchise itself and the appeal of it, it’s the generic open-world that lets the side down. The figure is a thing of beauty, a yellow skinned LEGO City policeman with some decent custom design added, who doesn’t want that? Similarly, the helicopter micro-build brings a new, more modern look to the blue and white choppers of days past, a great design. 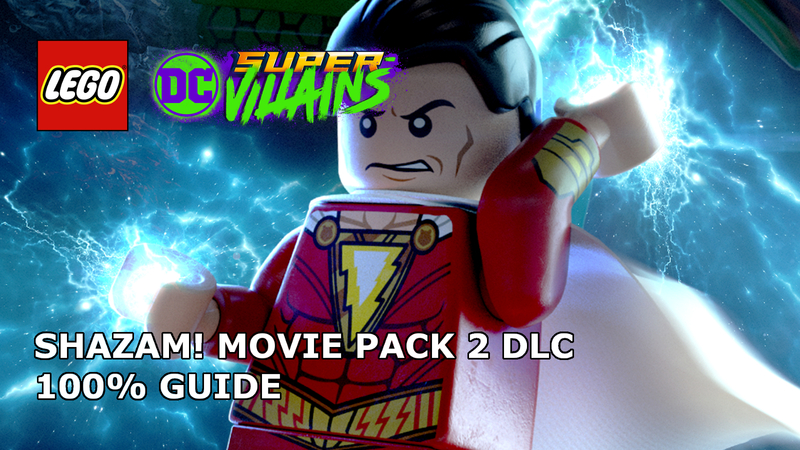 If there was a little more tie-in with LEGO City Undercover in-game as there is in the physical LEGO, then this would have been up there with the best, sadly there isn’t. The Chase figure really looks the part and while the differences are subtle compared to his other minifigure outings, it’s clear this is a brand new variant. The chopper micro-build is not only fun to build, it looks different, a fresh design which adds so much detail with so few pieces. Chase is a Swiss-Army knife of abilities, changing uniform to suit the large majority of situations. You’re actually getting six new characters, with their own skills, for the price of one. The open-world is a little disappointing, very bland and generic. 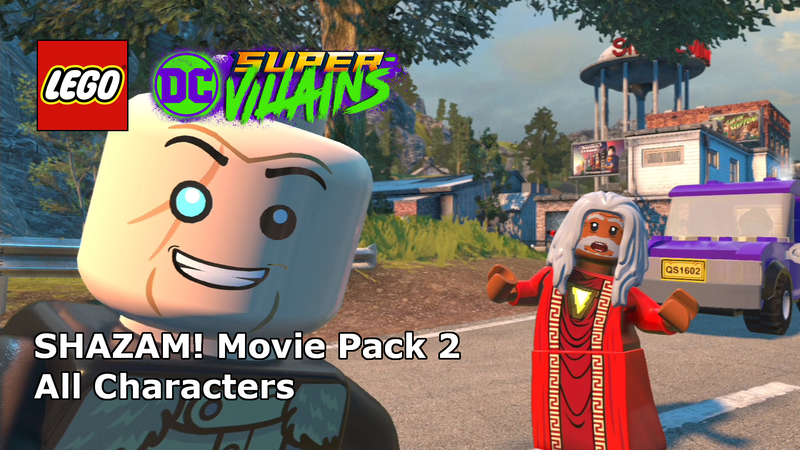 Not much tie-in with LEGO City Undercover in-game, despite the inclusion of the game’s main character.